8-2-Eat is my food-focused list series. A perfect Friday distraction. 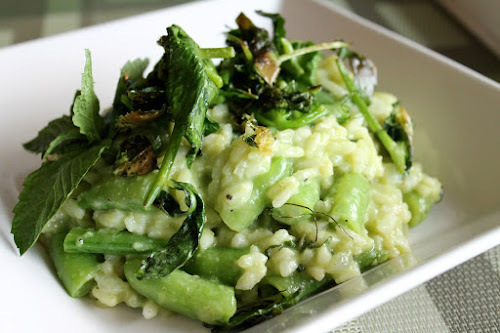 Spring always puts me in the mood for risotto, the classic Italian rice dish that makes an ideal foundation for spring produce such as mushrooms, peas and asparagus. Below are 8 risotto recipes perfect for this season. Risotto with Mushrooms, Sausage and Kale. If you're a risotto newbie, this simple combination is a great place to start. Mushroom-Bacon Risotto. Another simple classic that will please the bacon lovers. Roasted Vegetable Risotto Primavera. My most recent risotto, a dish inspired by the classic spring dish pasta primavera. Cauliflower, Asparagus and Mushroom Risotto. This wonderful combination of flavors was inspired by a typo on Twitter in a conversation between me, New Morning Farm and Washington Post Food section editor Joe Yonan. You never know where a delicious idea will be born. 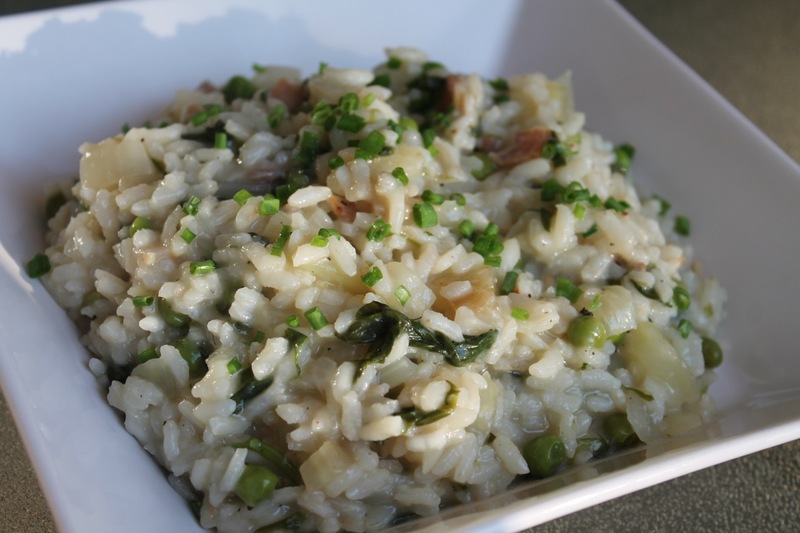 Pressure Cooker Spring Risotto. Want to speed up risotto? Try making it in a pressure cooker. You may be surprised at how good the results are. Peas 3-Ways Risotto with Mint (shown at top). I love eating peas in the spring, and a good risotto is the perfect showcase for them. Three-Peas Farro Risotto with Bacon. Riffing on the "peas 3-ways" theme again, this version features farro--a wheat grain--instead of the traditional rice. 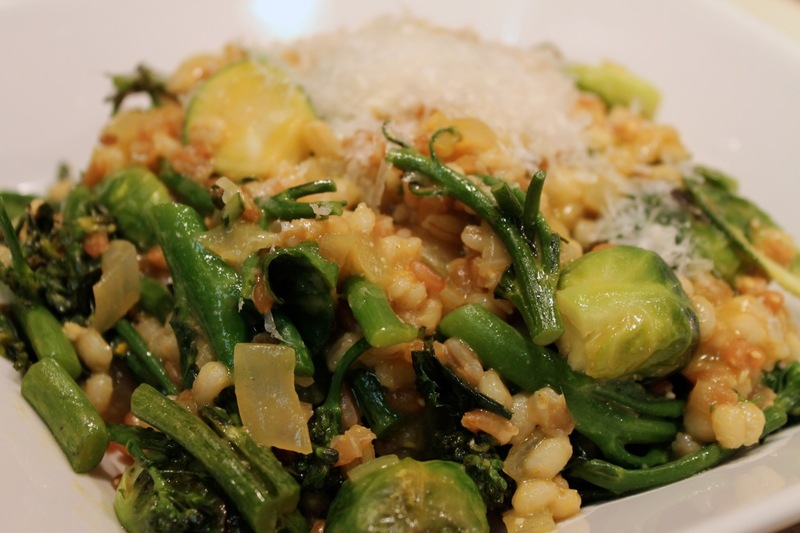 Multi-Grain Risotto with Broccolini and Brussels Sprouts Expanding upon the non-rice risotto, this version is made with farro, barley and wheat berries supporting a beautiful combination of green vegetables.